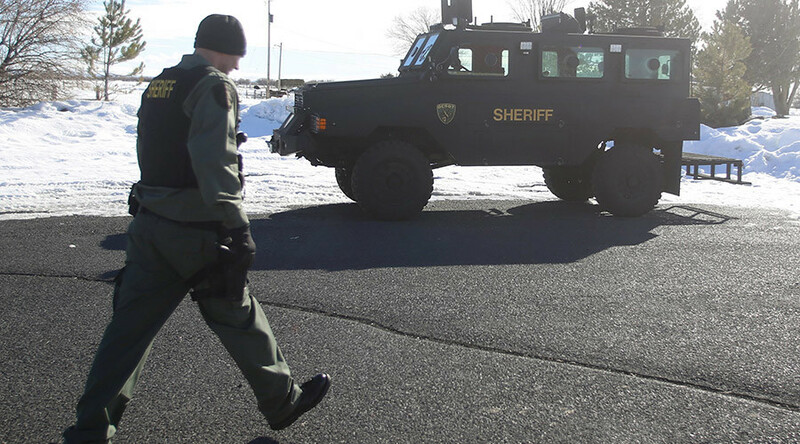 The last four members of the armed standoff in Oregon have reportedly said they left booby traps at the wildlife refuge before surrendering, but refuse to detail the locations or say if there were trip wires or other devices that could trigger them. “They spoke to us about booby traps. We don’t know how sophisticated or what kind,” an unnamed law enforcement official told Reuters. The group that took over the federal building at the Malheur National Wildlife Refuge was initially led by Ammon and Ryan Bundy, sons of Nevada rancher Cliven Bundy. The occupiers were heavily armed and possessed explosives when they began their protest against the federal government’s treatment of two local ranchers, Dwight and Steven Hammond, who had been convicted of arson on federal land under an anti-terror law. “There were materials that could be used to create hazardous devices, so it’s just very prudent for us to do to that,” the official said to Reuters. 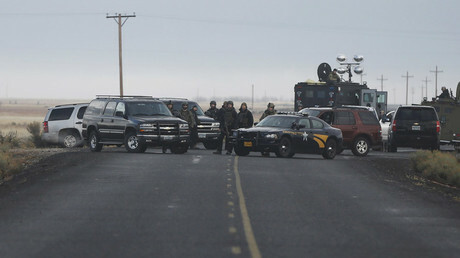 The four remaining activists occupying the refuge ended the 41-day standoff on Thursday by surrendering to local and federal authorities. They joined 12 other occupiers, who have been under arrest since the end of January, and now face federal charges. However, despite the standoff’s official end, supporters of Bundy’s group hope that their protest will spur similar acts of civil-disobedience challenging the government. Much of the land in 11 western US states is owned by the federal government. Ranchers, miners, and loggers have had to contend with an ever-growing body of regulations, often banning all activity on large swathes of land due to environmental concerns. The Bundy-led standoff in Oregon, and another last year in Nevada, have been the highest-profile clashes between ranchers and the government since the “sagebrush rebellion” in the 1970s.